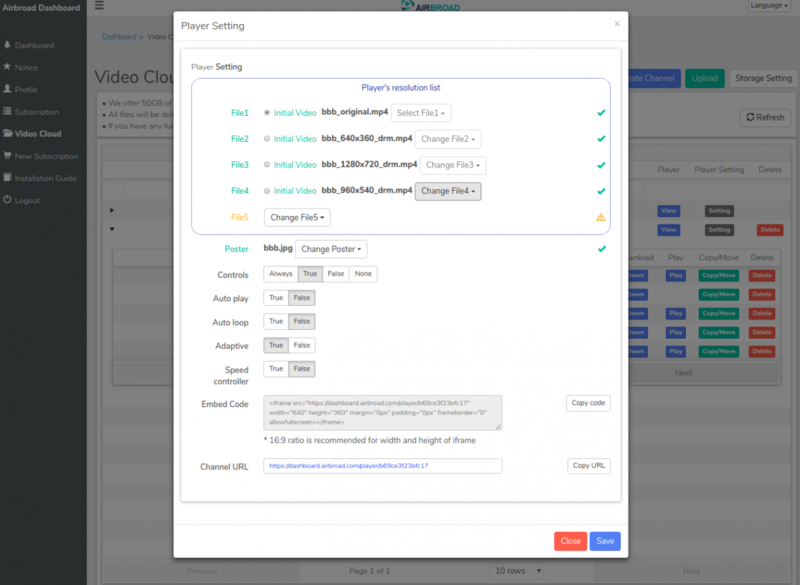 We provide not only self-hosting player but also online platform for transcoding and handy distribution. 2. 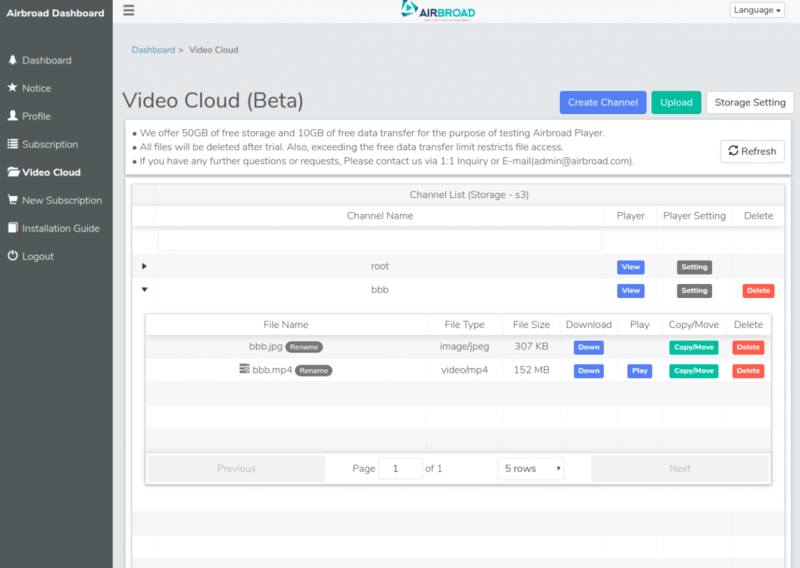 Upload your video files or images at Video Cloud menu in the Airbroad dashboard. 3. 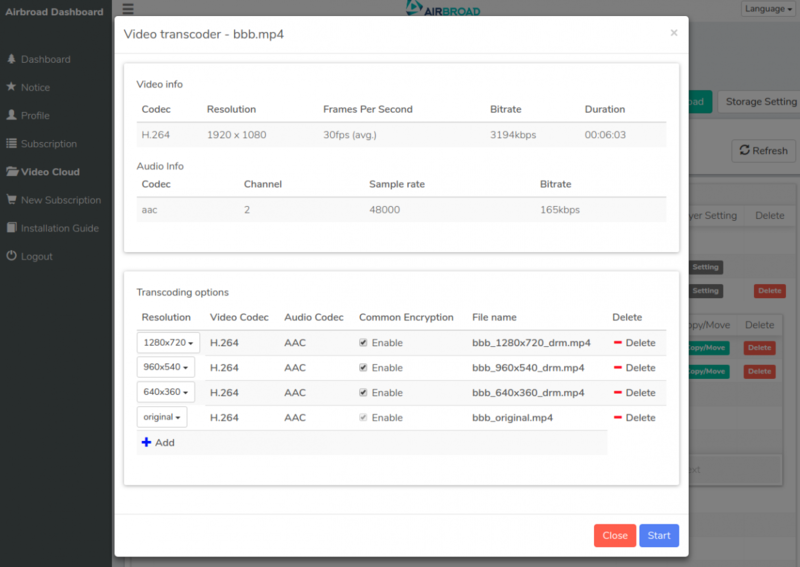 Use transcoder for adaptive streaming or encryption. To use transcoder, Click the icon on the left of a video file. The icon is lit up blue while transcoding. 4. Add your videos to player. In this state, you can set other player options easily.